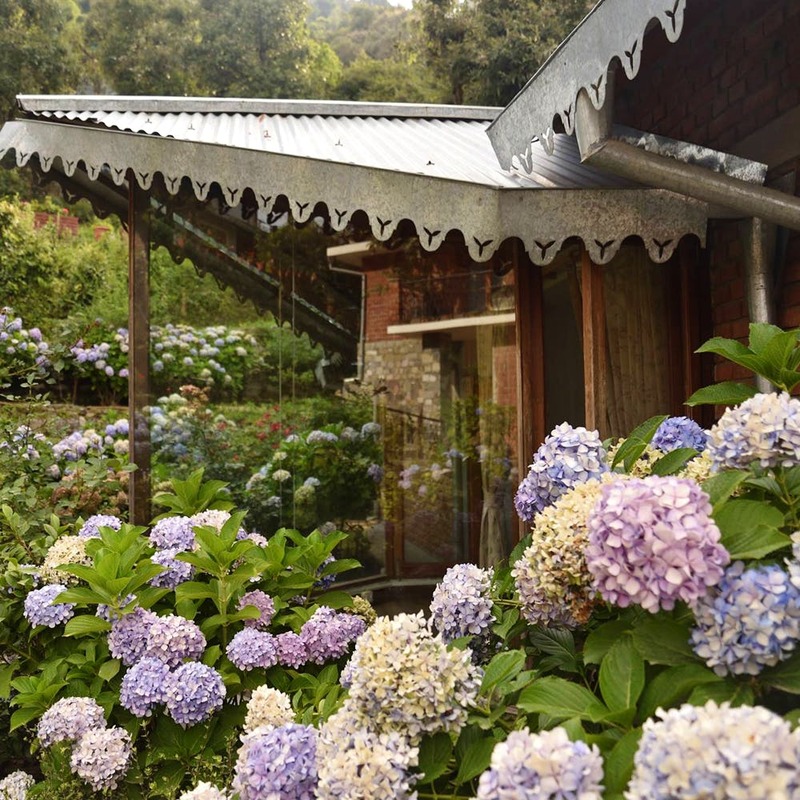 This small AirBnB cottage near Bhimtal will be the perfect peaceful getaway for you and your family. Situated in a location that enjoys a spectacular view, Sage Cottage is a small property around 20 minutes away from Bhimtal. The cottage is a simple B&B, decorated beautifully, and will be a perfect home away from home for a quiet getaway. With the views to keep you spellbound, and an indoor fireplace to keep you warm at night, this place is designed keeping in mind the needs of the guests. The arrangements for cleaning and housekeeping are made by the host, with a cleaning lady and cook available upon calling. However, if you want to cook your own meals, the kitchen is open for use. Groceries and other essentials can be sourced from Bhimtal. Since the idea behind this place is to provide a quiet place for guests to unwind and relax, it is set a little away from the city. But if you wish to head out on an excursion or outing to Bhimtal or Naukuchiatal, that can be arranged for you, too. Breakfast is prepared by the staff and served everyday. The cottage has three bedrooms that can accommodate six guests, and is the perfect place for when you need to disconnect from the world and connect with your loved ones. It's an airbnb, hence 24*7 staff is unavailable, so if you're someone who prefers luxurious staycations, you might be disappointed.